No, it isn’t available for pre-order quite yet but I wanted to include you all as much as possible!!! I am waiting on edits now but the release date is September 1, 2011. As far as the quality of writing and the content, it is the piece I am the most proud of. The Lord showed me some things in Scripture I had missed many times, and I pray you are as blessed as I was by what He taught me. I have long been fascinated by the questions God asks of His people in Scripture. Why does He ask? Clearly He knows the answers, right? Well, as I studied men and women in the Bible who were facing some kind of fear (fear of failure, fear of being found out, fear of being insignificant etc) guess what I also noticed? And I believe the heart of the way we are called to deal with the fear is in the way we answer these questions. 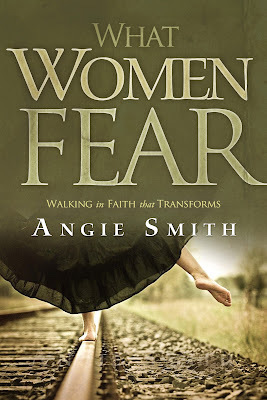 So, I wrote about my fears, my life, my God, and the answers that I believe shape us as we face fear. I will keep you posted on more details as soon as I have them, but please be praying for me as I head into edits!!! SO excited to share this with you all!!! !